I am grateful for every couple and family that allows me into their lives to document them and tell their personal stories through photographs. They always let their guard down and allow me in for the real, the raw; some of their most intimate moments, happiest tears, and even a toddler meltdown here or there (which, of course, you know I will humorously document!). The gracious words these kind folks write here truly warm my heart. They are a constant reminder why I do what I do and why it is so important to their family's history and posterity. Thank you from the bottom of my heart for trusting me to record you and your loves in your element. "Whitney is the absolute best. As soon as you meet her you will feel like she is your best friend - she is professional, warm and shows excitement for you on your big day and leading up to it. We can't say enough good things about her - if you choose her to photograph your wedding you won't regret it!" "Whitney girl, you put time in a bottle for all of us. We are ALL SO pleased this was in YOUR HANDS. I can't count all your admirers." "Among the photographers we considered for our wedding, Whitney stood out because of her professionalism, personality, and photojournalism expertise. 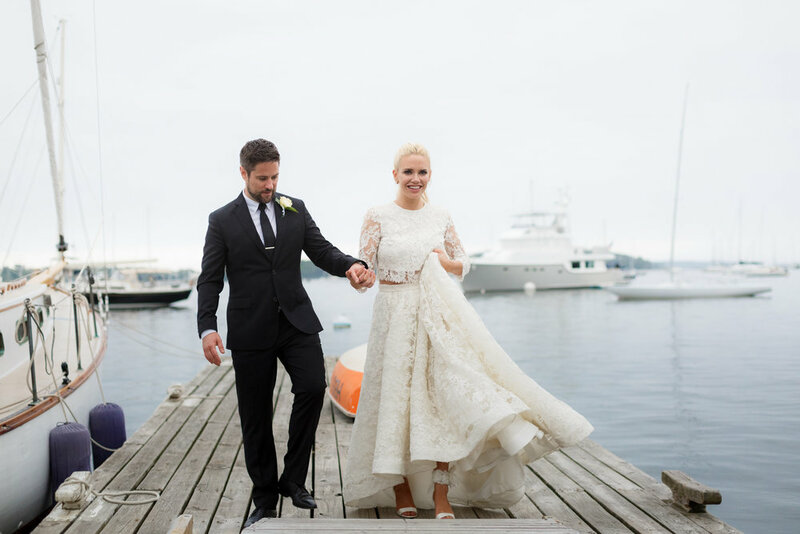 My husband and I could not be happier with how our photos turned out, nor with the experiences we had with Whit before, during, and after our wedding in Maine. Planning a long distance wedding is never simple, and from the start, Whit was accessible, friendly, and incredibly organized. During the morning preparation and throughout the wedding, she was completely unobtrusive; most of the time, we were unaware of her presence. Yet she was also able, seamlessly and efficiently, to direct some of the more formal portraits that we had requested. It rained throughout our wedding day, and I initially worried about how this would affect our photos, yet all of them (indoor and outdoor) still came out vibrant, beautiful, and natural looking. Our final portfolio has a great balance of shots that highlight all of the emotions, energy, and events of the day!" "Whitney J. Fox is an incredible photographer. We worked very closely with Whitney from our engagement photo session on the beach, with our dog, to our beautiful wedding day at the Homestead at the Rest and Be Thankful Farm in Lyman, Maine! Whitney captured every moment and she is wonderful to work with. Whitney is a professional in every sense of the word. She is organized, thoughtful, and has an amazing eye. She is a lot a lot of fun to work with and she allowed us to be ourselves and have a great time while doing our wedding photos. We would highly recommend Whitney for any wedding or special occasion!" "My husband, family and I cannot say enough about working with Whit! She is, without question, an extremely talented, practiced and invested individual. On top of talent, she is professional, enthusiastic, genuine and kind. We treasure the photos from our wedding and engagement session, and appreciate the unique eye she brought to capturing the special moments, small touches and emotion of the occasion. Hers was the most important job of the day, and she tackled it with ease and poise. We look forward to having Whitney not only capture - but be a part of - our special memories in the future!" "From the first day I met Whitney I knew that we would get along great, she was so sweet and most importantly understood what I was looking for when it came to my wedding photos. Now I have to admit, I can be a little of a control freak. But for every email I sent Whitney responded to me very quickly and made me feel like I wasn't crazy or alone. We scheduled a call to chat about the details of my day and ended up talking for almost 2 hours. The only way I can describe it is that, she just gets it! When the day came I felt so comfortable with her, as if we knew each other forever. I trusted her judgement and wasn't worrying about all of the things that were going through my head leading up to the wedding that week. It was a huge relief. "Spectacular" doesn't even begin to describe how great my photos came out. People are still telling me how amazing they are and I couldn't be happier. Her attention to detail is spot on which is making my choice of a select few for my album a very difficult task. I will never be able to thank her enough for capturing my day so perfectly. Thank you Whitney!!!!!!!" "During the wedding planning process, we were thinking we would forgo the expense of a wedding photographer and use the money elsewhere. My mother encouraged us to really consider a professional photographer, and man, are we glad we did. Whit met us in our hometown on her way home from another shoot, and after two hours of chatting and laughing over coffee, we knew she would be a perfect fit for shooting our wedding. Whit's background in photojournalism comes through in her work ethic and the style of her photography. She made us feel at ease in front of the camera, and had excellent tools to help us plan which moments and shots we wanted captured. The results were beyond our wildest dreams. From the classic portraits to the impromptu candids, she captured our friends and family in their element. My husband and I are simply glowing in the photos - she took all of our emotions that day and managed to bottle them up in those pictures. They are going to be treasured for years and years to come. Whit is an amazing person and a crazy talented photographer. I couldn't recommend her more highly." "This amazing professional combines her rare ability behind the lens with a warmth and human spirit that captures "the moments" and "the looks" and turns them into treasured memories! We love her and we highly recommend her if you want superb work, great value and someone to work with that feels like family." "I continue to be SO grateful for your photography of our extended family at our 50th wedding anniversary week in Maine. You were so good at moving us to new settings, keeping the grand kids fresh and laughing, making the whole experience fun for all of us, as well as taking AMAZING pictures that we are enjoying now and will enjoy for years to come! Thank you from the bottom of my heart!!" 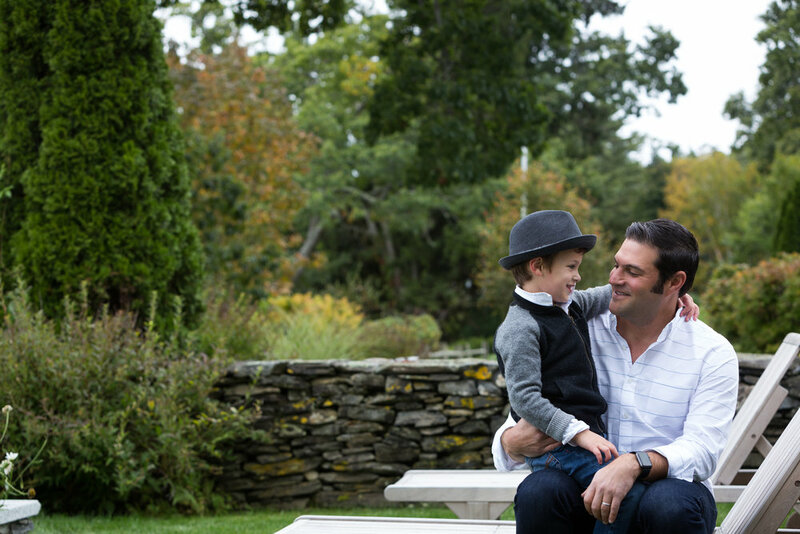 "Whitney's photos are a beautiful documentation of our family and we are so happy we worked with her. Her easy going nature and professionalism allowed us to relax and as a result she captured natural, honest, and gorgeous images. Just so thrilled we have these to help us remember forever"
"We wanted a photographer who would take natural, heartfelt pictures of our family (two parents and six-month-old baby). Lots of other photographers take highly staged pictures of babies: sitting in flowerpots, holding Christmas lights, wearing fairy wings, etc. That style is cute but it didn't really appeal to us. We wanted photos of our family life as we experience it, just with better light and more flattering angles! Whitney took fantastic images of the three of us, both posed and candid. She did a great job capturing the emotions we shared together and best of all, we look like ourselves- the best versions of ourselves. We love the photos and we'll be hiring Whitney to take more pictures of our family as our daughter grows." "Whitney was an absolute professional! She captured our family so beautifully and each photo was better than the next! We will absolutely be using for all of our future photography needs and would highly recommend her!" "Whitney photographed our wedding and two summers later, a session with our one year old son. On both occasions she was professional, enjoyable to work with, blended seamlessly into our day and of course, we loved the photos. She captured some really special moments and we couldn't be happier with the process and the product. We look forward to working with her again in the future! I highly recommend her."